May is considered Disability Insurance Awareness Month, but every month should be. If you told me a year ago I’d fall in love with Disability Insurance I most likely would have laughed and rolled my eyes. Weirder things have happened but I’ve been struck by cupid’s arrow! Why am I so passionate about Income Protection? Thankfully I have never suffered from an injury or illness that kept me out of work; however, I have lived for a lengthy period of time without an income stream. I can attest to the stress and anxiety that can accompany the inability to pay your bills and basic life expenses. In addition, I have watched friends and families close to me struggle both emotionally and financially when either they, a parent, or spouse had breast cancer, a stroke, a heart attack, became paralyzed from spinal nerve damage, tore a rotator cuff, or endured a knee replacement to name a few. These disabilities and illnesses, all of them out of the blue, either temporarily or permanently took away the ability to earn an income. Some suffered a tremendous financial loss without an income protection plan in place and some were able to focus solely on healing as they had a disability insurance policy. 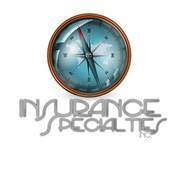 Who is to say if I ever would have landed in the insurance business had it not been for growing up in it and joining forces in my family’s business, but here I am, destined to share knowledge and help others. As we all know, insurance is all about protecting the “what-ifs.” We insure our cars, homes, and phones, but why not our life, income, and health? The disconnect is evident and I am here to say, even as an industry professional and someone who believes in insurance, I totally get where the “non-believers” are coming from . If you are fortunate enough to have disability coverage from your employer you absolutely must review what you have with a licensed disability insurance specialist! If you were smart enough to put an income protection plan in place at the beginning of your career, chances are your income has increased just as your financial responsibilities have. You may need more coverage, but as I mentioned above, any great agent will be excited to review your policy and find you are truly taken care of! If you are in a profession where you have invested a great deal of time and money such as law or medicine, wouldn’t want to protect that investment? If you own a business you are responsible for more than just yourself! If you have a family you are responsible for more than just yourself! If you live with a significant other and share expenses you are responsible for more than just yourself! If you are single, you ARE responsible for yourself! You might want it, but not everyone can get disability insurance!! Not only do you need the income and income stability, you also have to be in fairly good health (keep in mind if you do have an unfavorable medical history, we have expertise with hard to place cases). Make sure you work with a broker that understands the underwriting requirements with different companies. If we think we have control over our lives we are fooling ourselves! While there are actions we can take to minimize the risk of needing any insurance, doesn’t it make sense to protect that which we cannot predict? We are here to help and answer questions. We have the knowledge and ability to tailor plans to your needs, desires, and financial capabilities. We work with many of the strongest insurance companies in the industry, and as a brokerage agency we only recommend carriers with the best plans for your occupation, health, and goals. We are licensed in numerous states and can assist you no matter where you live. While I will not negate the fact that I know my stuff, it is comforting to know that I have access to individuals with a deep understanding that can only come with decades of practice. Posted on May 14, 2015 August 6, 2015 by melodyisisherman	This entry was posted in agent, benefits, broker, brokerageagency, business, business owner, disabilityinsurance, family, future, holistic, illness, income, insurance, millenialls, wellness and tagged agents, asheville, broker, brokerageagency, business, business planning, business protection, diam, disability insurance awareness month, disabilityinsurance, family, helping people, incomeprotection, insurance, life planning, love, may, personal, philadelphia, protection. Bookmark the permalink.